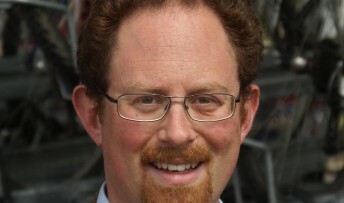 MP Julian Huppert will officially launch the second Cambridge Stammering Open Day on Saturday, March 16. The main focus of the one-day mini conference at Ridgefield Primary School in Radegund Road, Cambridge will be on a major new research project launched by the Norwich-based University of East Anglia which looks at social anxiety in stammerers. The conference will also include talks and workshops. The event is backed by the British Stammering Association and the Dominic Barker Trust, a charity which backs research into stammering launched in memory of Dominic who committed suicide because he couldn’t cope with the pressures and anxieties of living with a stammer. Julian said: “I’m privileged to open this hugely important event which provides invaluable information and help not only for those living with a stammer but also those working with them and supporting them. “Stammering is very common in young children and it can have a major impact on their schooling and their social lives. Fortunately, many children resolve the problem either naturally or with therapy; but for some it continues into their adult lives. This can be extremely difficult causing major anxiety and stress. Robert Coe, Chair of Cambridge Self Help Group for Adults who Stammer will tell delegates that a great deal has happened since the last open day but the main event, in terms of raising the profile of stammering, was the “brilliant, heart-warming, and Oscar-winning film, the Kings Speech”. “How great it was to have a stammerer portrayed in such a positive light,” he says. “The film gave stammerers literally a stage to talk about our speech and brought the disability into the public spotlight as never seen before. However he adds: “We have a long way to go before stammering is properly understood and accepted by a sometimes sceptical society. Evidence of this was recently seen in the mocking in the tabloids of the England football manager’s speech impediment and Lenny Henry’s cruel portrayal of the King’s Speech film on Comic Relief of all things. Around 750,000 adults and children in the UK stammer and the condition affects around 70 million people worldwide.